‘DAY OF TRAFFIC CHAOS’ printed The Times, before explaining that ‘extreme dislocation’ was the likely outcome of the Underground strike. For Londoners trying to get to work during the current tube strike, ‘extreme dislocation’ is apparently underway, but The Times headline refers to an event from over half a century ago. On Monday January 29th 1962 there was an unofficial strike by London Underground workers and by electric train drivers on the Southern Region of British Railways over wages. The result was travel chaos, as many a Londoner today can perhaps appreciate. 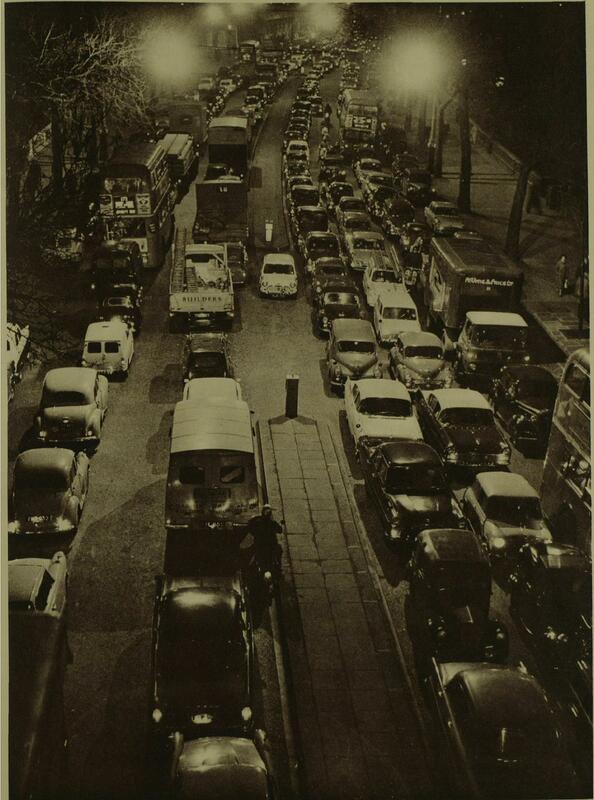 Despite the extra parking, however, traffic congestion soon brought much of London to gridlock. A London Minicab firm reported their advanced bookings had shot up forty per cent, but noted that ‘it looks as if it is going to be one big jam on all the main roads’. They were proved correct. Such was the congestion that when another strike was threatened a week later the RAC issued a warning to drivers about their car heaters potentially asphyxiating them as they sucked in fumes from other stationary vehicles. The Embankment from Westminster Bridge on the evening of the Tube strike. London Illustrated News, February 3rd 1962. For those without cars the buses were the main recourse, though then as now they were largely overwhelmed. One organisation, the disturbingly militant sounding People’s League for the Defence of Freedom, announced they were hiring buses which they would run themselves in a sort of vigilante double-decker transport endeavor. One presumes their buses were something like this. But with two decks. The Illustrated London News noted, however, that all in all you were better off walking. 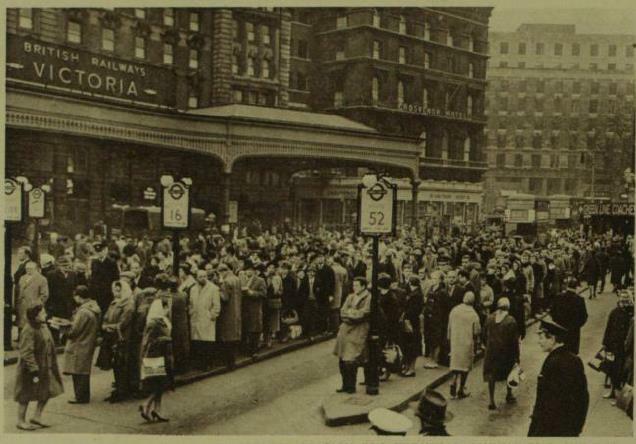 Queues at Victoria bus station during the strike. London Illustrated News, February 3rd 1962. It wasn’t all bad, however. The odd roller skater or jogging businessman lightened the mood just a touch, though how much of this was British Pathe’s spin on things is to be debated. The same organisation produced another film later that year showing the impact of the 1962 railway strike (which also included the Underground) which made it look like the strike was the best thing to ever happen. I get the feeling today’s Londoners might not agree. This entry was posted in Uncategorized and tagged Greater London, history, London, social history, strike, travel chaos, Tube, Tube strike, underground, Underground strike. Bookmark the permalink.